Madden, 7, was born with a bilateral cleft lip and palate. In addition to having a scar from repair surgeries, he has heterochromia iridium, which means his eyes are two different colors. Last year was a difficult one for Madden Humphreys. His classmates at school were bullying him for how he looked. Christina Humphreys, Madden&apos;s mom, was troubled by her son&apos;s sadness. “He is the spunky one in the family. He is usually just completely full of life and happy and fun to be with,” Humphreys, 33, of Owasso, Oklahoma, told TODAY. “He wasn’t (insecure) until other kids started pointing it out to him and then saying not nice things to him,” said Humphreys, adding that she wasn’t sure how to help her son. On Facebook one day, Humphreys stumbled upon a photo of something amazing: It was a rescue cat named Moon, who had two different colored eyes and a cleft lip. “The eyes alone would have been a big deal. 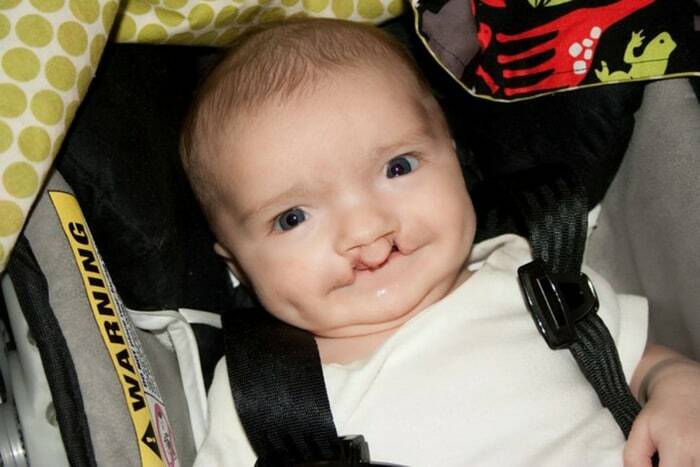 When I saw the cleft, we had a conversation about … how it was amazing they were both born completely unique,” Humphreys said. Humphreys was determined to adopt Moon for her son, but there was a problem. Moon lived at a shelter in Minnesota and the shelter’s policy prohibited the Humphreys from adopting the cat without visiting. It is a 22-hour round trip drive and the gas and hotel money were an extra financial strain for the Humphreys. “I didn’t think there was any way it was possible,” Humphreys said. With the help of family friends, who arranged a fundraiser, the family soon had enough money for gas and a hotel to visit Minnesota. Humphreys hoped Moon would still be there. When they arrived, Moon sauntered right up to Madden. More than a week ago, Moon returned with them and has been adjusting to life with his new family. When he gets scared, he looks for Madden. Humphreys says Moon helps Madden cope with being bullied. Humphreys shared Madden and Moon’s story on Facebook and more than 5,000 people reacted to it with overwhelmingly positive support. 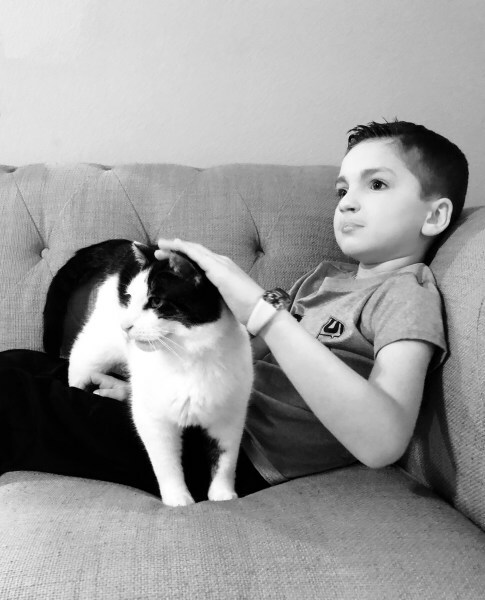 And, she feels glad that her son and his cat are teaching others that being different is awesome.